Watching a superb motivational speech can be a form of mediation. Fact. At Chartwell, we’re always looking for new ways to improve our wellbeing and we believe it comes through exposure to the latest ideas that interrogate and illuminate our world – but results depends on the quality of the thought-leaders behind those ideas. Lucky for you, we’re here to help! Be inspired and gain a deeper understanding of our world with these incredible speakers. From pre-eminent philosophers to sought-after experts on staying calm, getting a good night’s rest and unlocking your creativity, our speakers provide practical tips and advice that enliven audiences worldwide. Organise an unmissable event for your clients and/or staff with Chartwell’s Wellbeing Speakers. For more about the talented people featured below – or to discuss your particular event needs – contact Gus in London, Raleigh in Hong Kong or Jeana in Dallas for topics, ideas and latest availability. Professor AC Grayling, a leading ethics speaker and Master of the New College of the Humanities, discusses whether it is wrong to spy in his latest piece for Prospect Magazine. As an example he cites the famous spy and double agent Kim Philby, who continues to fascinate the popular imagination because of such moral complexities. Click here to read on (paywall). To find out more about AC Grayling, or to book him as a speaker, please contact Leo von Bülow-Quirk on 0044 (0) 20 7792 8000 or at leovbq@chartwellpartners.co.uk. 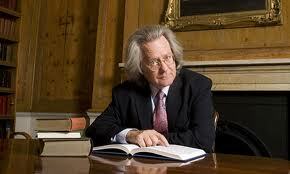 Writing in The Times, Professor AC Grayling, chairman of this year’s Man Booker Prize, argues that numerous Christian ideals – and many of Britain’s defining characteristics – really come from Greece and Rome. Saturday’s Guardian has a long profile on the New College of Humanities (NCH), founded in 2011 by the well known Philosopher and Humanist AC Grayling. The room was packed this morning for Professor Grayling‘s “Good Values, Good Value” talk. Challenging us to think about how we should live our lives and what ethics mean for us individually, corporately and publicly, Professor Grayling led a thoroughly enjoyable breakfast discussion.